Gogol Street, formerly known as the New Business District, built in 1901, has been a history of over a hundred years. 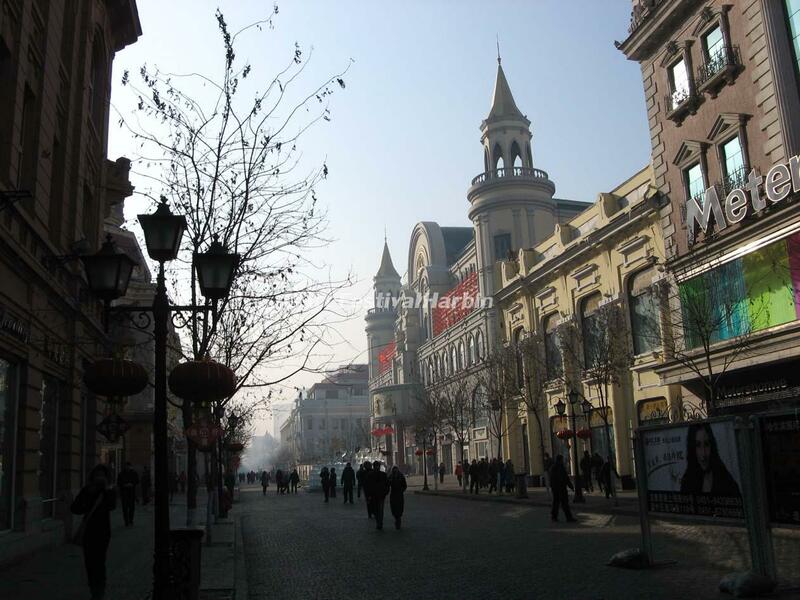 It is located in central Nangang District of Harbin, with a length of 2 642 m.
Gogol Street is a street with a strong Russian flavor, on the south side of Gogol Street was Eastern Qing Railway Central Hospital (now Central Hospital of Harbin Railway). Built in 1904, the hospital covers an area of over 80,000 square meters. There are trees, flocks of Russian architecture. The typical Russian construction groups of hospital office building, clinics, attached house and Central Telephone Office in the backdrop of green shade constitutes rural scenery of the Far East Asia's. Give people a feeling of returning to nature. The night scene of Gogol Street is very charming and attractive. The whole street road configured with 150 large European-style landscape lights, as well as garden lights, water lights, fence lights, and auxiliary lights, while accompanied by the building spotlights, forming irregular scattered colorful lighting landscape Avenue.